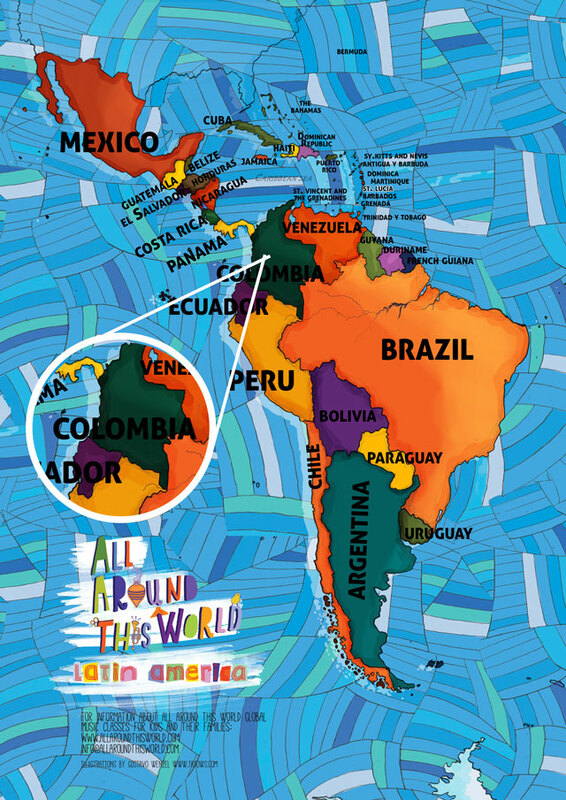 All Around This World’s exploration of Latin America includes sing-along, dance-along classroom and homeschool lessons about Colombia for kids . . . Meet the world through music –“come to class” with Jay. This week All Around This World dives headfirst into a sing-along, dance-along exploration of Colombia for kids. Colombia is a wonderfully complex, ethnically, culturally and geographically diverse country with a violent recent past. Years of internal armed conflict have kept tourists away from Colombia, but over the last few years crime and civil strife have become less dominant and more outsiders are discovering the “magically realistic” Colombia others have always known.